An 8 yard dumpster is great for your small clean up jobs such as yard waste removal, small remodeling jobs, small garage clean outs and residential DIY projects. Call Dumpster Rental today to reserve your dumpster. A 10 yard dumpster is usually appropriate for home remodeling projects and medium sized clean up projects. Our 10 yard dumpster is a good choice for garage and attic clean outs. Call Dumpster Rental today to reserve your dumpster. 15 yard dumpster is a great choice for your home remodeling project. 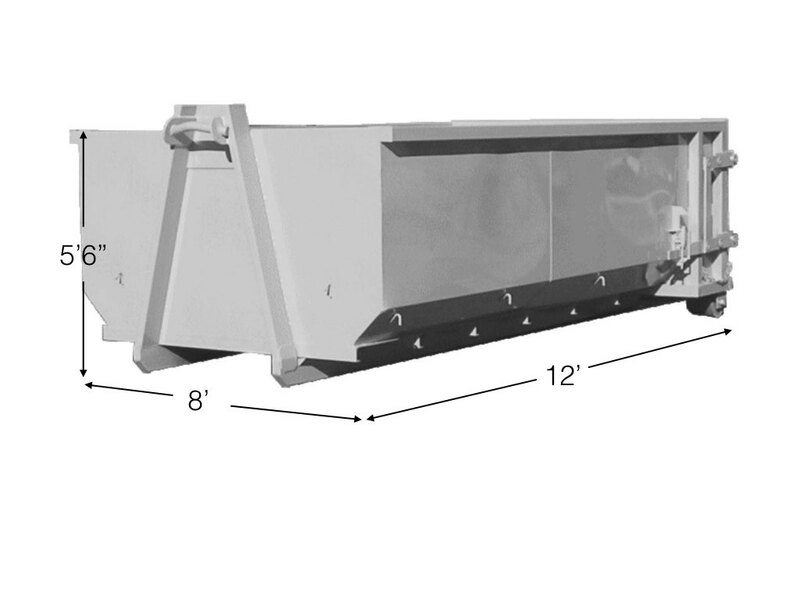 Our 15 yard dumpster rental is ideal for projects such as estate or eviction clean outs. Call Dumpster Rental today to reserve your dumpster. Locally owned Dumpster Rental is here to help you with your hauling needs. Specializing in on-time fast roll-off delivery. We take pride in delivering on time, whether you have moving debris, construction waste or just need a dumpster to get rid of household waste, renting a dumpster from Dumpster Rental is easy. Providing residential and commercial customers in Fort Collins, Loveland and surrounding northern Colorado cities with the highest level of reliable customer service for their roll off hauling needs. No need to fight the mud or worry if the landfill is open; just call us at 970.631.8585 to schedule a delivery time!